Indian Scout Sixty price in Chennai starts from Rs. 12.55 lakh (Ex-showroom). Scout Sixty is available in only 1 variant. Indian Scout Sixty's top competitors are Harley Davidson Iron 883 (price starting at Rs. 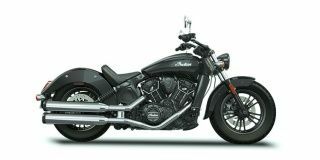 9.23 lakh in Chennai) and Indian Scout Bobber (price starting at Rs. 13.15 lakh in Chennai).